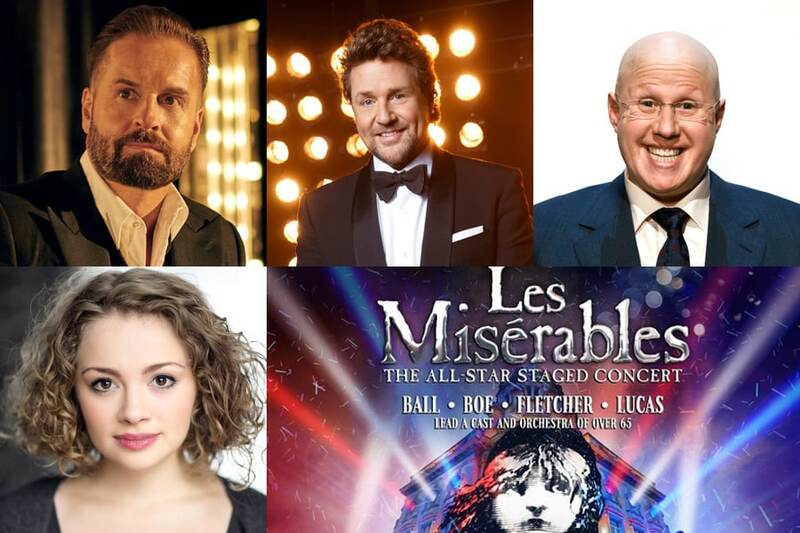 Cameron Mackintosh has announced that for 16 weeks only Michael Ball (Javert), Alfie Boe (Jean Valjean), Carrie Hope Fletcher (Fantine) andMatt Lucas (Thénardier) will lead a large cast and orchestra of over sixty-five in the concert version of Les Misérables. Katy Secombe also joins to play Madame Thénardier and for three performances a week, the role of Jean Valjean will be played byJohn Owen-Jones. Further casting will be announced shortly.